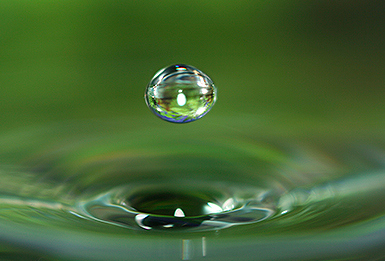 Acceptance and mindfulness-based practices are rapidly making their way into mental health care, medicine, and society both to alleviate human suffering and nurture psychological health and wellness. This body of work also offers a fresh perceptive on psychological suffering and a set of powerful clinical strategies that support meaningful life changes. 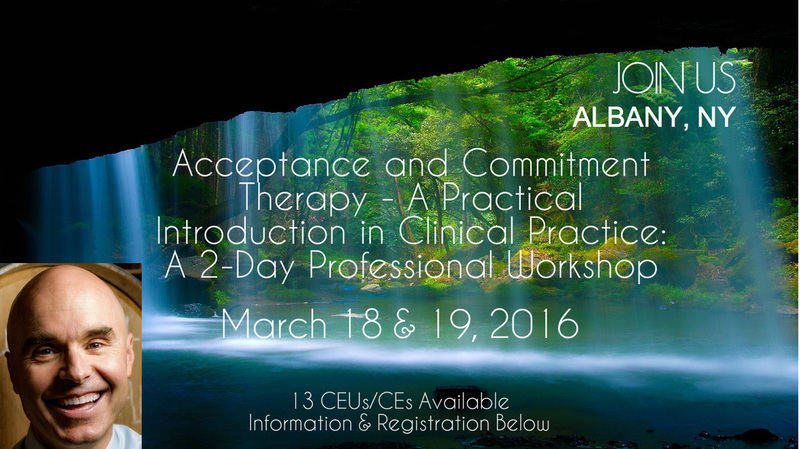 In this workshop, we will learn about one particular approach and set of practices based on Acceptance and Commitment Therapy (or ACT, said as one word). ACT is a newer third-generation evidence-based behavior therapy that balances mindfulness and acceptance processes with commitment and behavior change processes to (a) weaken the unhelpful influence of thoughts and emotional avoidance in guiding actions, while (b) promoting greater experiential and psychological flexibility in the service of (c) valued ends. It is both a form of therapy and an approach to living well, with evidence showing that it is useful for many forms of psychological and emotional suffering. In short, ACT teaches clients how to be with their hurts and do what works – to live well, richly, and meaningfully, without first having to defeat sources of emotional and psychological pain. This 2-day workshop will introduce ACT, both as a model and intervention technology, and illustrate its use across a broad set of problem areas that are commonly seen in mental health settings (e.g., anxiety, depression, anger). This work can be challenging for both therapists and clients alike, for much of ACT work involves contacting difficult and painful psychological content without defense and for a purpose other than psychological relief. Thus, understanding the application and integration of the ACT model of psychological health and suffering is essential for effective ACT work. Our time together will be filled with didactic teachings, live and video demonstrations, and practical experiential exercises that will be done individually, in dyads, and small groups. The exercises will highlight the integration of mindfulness and acceptance strategies (along with kindness and compassion exercises) to disarm forms of human suffering and also to promote greater clarity of values and action in the service of living well. Participants will be encouraged (but never forced or coerced) to engage the material at a personal level, as it applies to their own lives, and then also in the context of their clinical work. All we ask is that participants are willing to get inside the ACT model and approach, if only for 2-days. Clinical worksheets and other practical tools will be provided. Apply and integrate mindfulness and acceptance processes with commitment and behavior change processes in dyads. Why Creative Hopeless in ACT? Social workers, psychologists, nurses, psychiatrists, life-coaches, and other mental health professionals, including graduate students and post-doctoral fellows. Some general familiarity with ACT will be helpful, but is not required. CE/CEU Credits are available for social workers licensed in New York State and for psychologists licensed in New York State and elsewhere. See registration below for more information about CEs/CEUs. CEU credits for social workers are made possible by co-sponsorship with the UAlbany School of Social Welfare Continuing Education program. University at Albany, School of Social Welfare is recognized by the New York State Education Department's State Board for Social Work as an approved provider of continuing education for licensed social workers #0011. CE credits for psychologists are made possible by co-sponsorship with the Association of Contextual Behavioral Science (ACBS). The Association for Contextual Behavioral Science is approved by the American Psychological Association to sponsor continuing education for psychologists. The Association for Contextual Behavioral Science maintains responsibility for this program and its content. In order to issue you CE credit, we’ll need to know your professional license type and number. Participants MUST complete a CE evaluation form in order to received credit (in addition to signing in and out). We cannot issue partial CE credit for any workshop session. Your attendance, verified by a sign-in and sign-out, is required for all sessions of the workshop. Parking Permit: Upon registration, you will receive a link to a pdf file containing your confirmation and a link to a pdf file with your parking permit. Please print the confirmation and parking permit and leave it clearly visible on the front dashboard of your car. Please park only in the designated lots. Space will be limited, so if you plan to attend, please do register soon by selecting the appropriate link below. Fewer than 7 days before an event, we’ll refund 50% of your fee. If you don’t cancel before the event begins, we can’t refund your fees. If we cancel an event for any reason, of course, we’ll refund all of your registration fees. You can learn more about Dr. Forsyth by following the "about John" link at the top of this page. 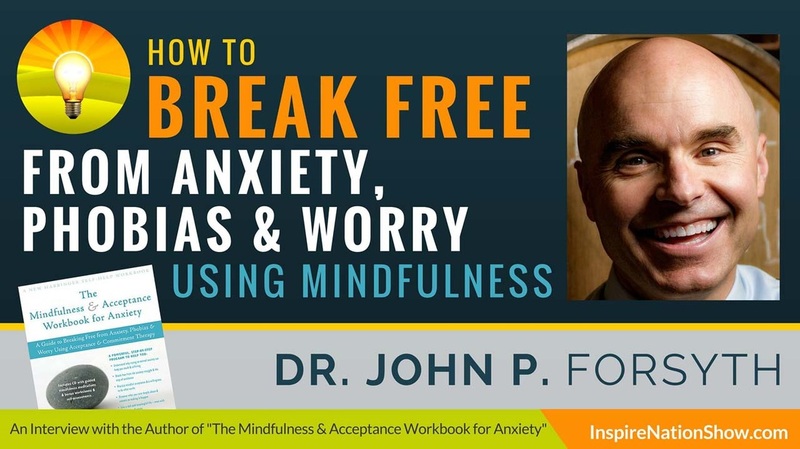 And, if you're curious you can click on the image to the right to hear an hour long interview on ACT for Anxiety that Dr. Forsyth did with Michael Sandler, host of The Inspire Nation Show.